With handpainted, 3-D models, this easel display graphically demonstrates cervical dilatation from 1 cm-8 cm. 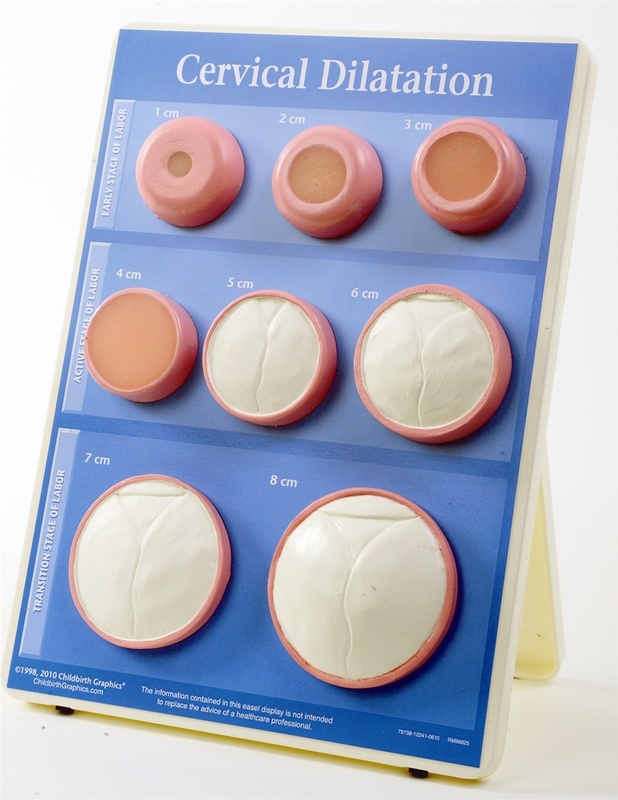 The 1-, 2-, 3-, and 4-cm models allow users to feel the softening and thinning of the cervix. Sets up as a tabletop display or hangs on a wall. Comes with protective felt cover. 9" x 12".